As a famous Nobel Prize-winning civil rights prosecutor once wrote, sometimes it feels like you’re playing in the ghetto and it ain’t much fun, and the fun you have becomes work even though it’s world-class art. That’s because at many turns, and in many subway depots, the man wants to come stop you from telling the world what’s right and what’s wrong, and he’ll come knocking down the door with machine guns and German shepherds to make sure you understand. 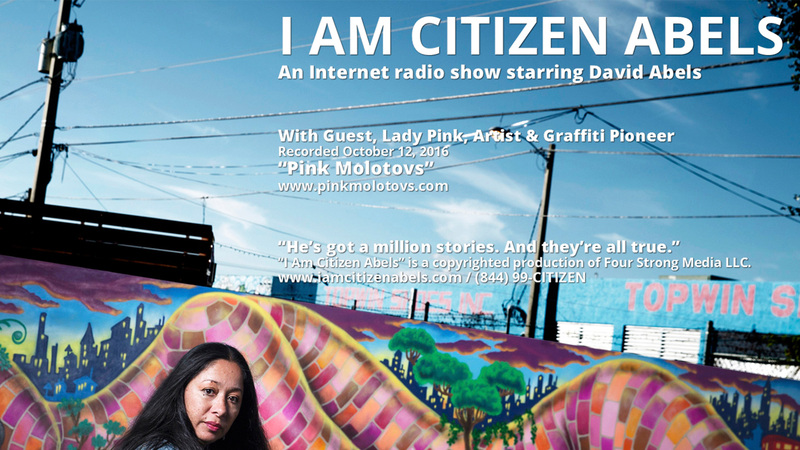 On this episode of “I Am Citizen Abels,” entitled, “Pink Molotovs," recorded October 12, 2016, The Citizen interviews graffiti pioneer and internationally renowned artist, Lady Pink, from an undisclosed location away from the center of town. Lady Pink keeps The Citizen on his toes and back on his heels – a hard act for a woman – by teaching the prodigal genius that art for a dollar ain’t art for art’s sake. And while Lady Pink eventually volunteers to sit on The Citizen’s therapy couch to discuss the loss of fun in her life, he realizes soon that no copay is worth the paper it’s written on when you’re talking to a woman with something to say. 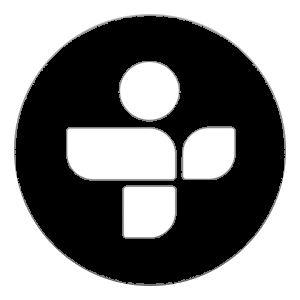 So, join The Citizen and Lady Pink as they discuss Greekarican, the vandals on the vandal squad, and other assorted miscreants and mischief in another mind-bending assault on the lazy, the full-of-themselves, and other con artists. Lady Pink’s got everything she needs. She can and does look back. Forward too.